PT Bank Syariah Bukopin - BSB or or referred to as "Bank Syariah Bukopin" is a rapid growing Islamic banking (sharia) company in Indonesia. Headquartered in Jakarta, Bank Syariah Bukopin is a sharia banking subsidiary company of PT Bank Bukopin Tbk (Bukopin Group), a reputable public-listed commercial bank in Indonesia. Bank Syariah Bukopin was first established in 1990 as PT Bank Swansarindo Internasional, a small-size conventional bank registered in Samarinda East Kalimantan. 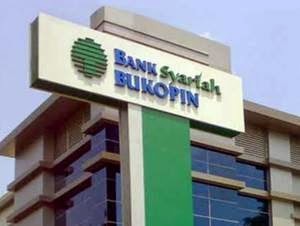 The name of PT Bank Syariah Bukopin officially launched in 2009. As of December 2016, Bank Syariah Bukopin runs its business through 11 branch offices, 7 sub branch offices, 4 cash offices, and 5 mobile cash units spread across Indonesia. In term of financial performance, Syariah Bukopin showed a strong performance in the full year of 2016. According to PT Bank Syariah Bukopin Annual Report 2016 as cited by JobsCDC.com, Bank Syariah Bukopin booked total assets of Rp 7,019.59 billion in 2016. This reflected an 20.46% increase from Rp 5,827.15 billion in 2015. Bank Syariah Bukopin registered a 122.34% growth in total comprehensive income for the year of 2016 of Rp 65.48 billion as compared with Rp 29.45 billion in 2015. JobsCDC.com now available on android device. Download now on Google Play here. Please be aware of recruitment fraud. The entire stage of this selection process is free of charge. PT Bank Syariah Bukopin - Management Development Program Bukopin Group September 2017 will never ask for fees or upfront payments for any purposes during the recruitment process such as transportation and accommodation.